Bahia Blanca is an important commercial and industrial center of 260.000 inhabitants and is also the southernmost important city in the fertile Pampa. The most important industrial activities are the petrochemical industry (fed by oil and gas ducts from the Neuquén and Patagonic basins) and the agroindustry, To a lesser degree the foodstuffs and fish processing industries are also prominent. A traditional point of distribution towards the south and southwest of the country, Bahia Blanca has excellent road and railway connections. Five highways connect the city in all directions as also do the Ferrocarril Pampeano and Ferrosur Roca railways. The ports of Bahia Blanca and Talcahuano (Chile) are connected by highway N022 and by the Ferrosur Roca railway (with truck transfer from Zapala and Lonquimay) which form an inter-oceanic corridor. The Comandante Espora airport is served by daily domestic commercial flights. 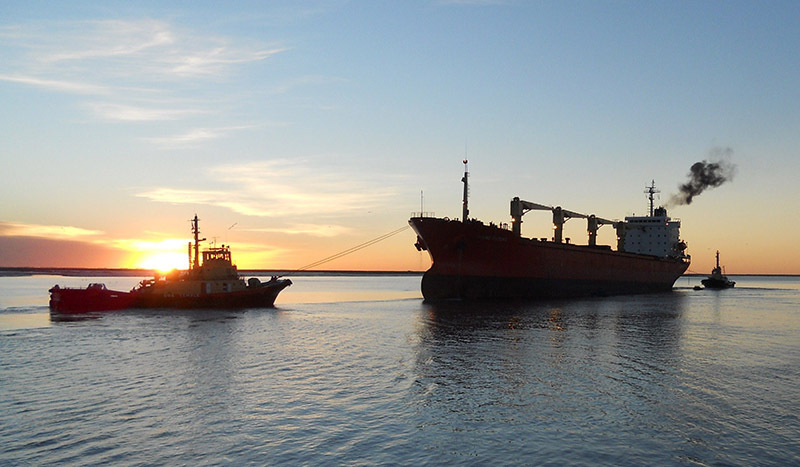 Owners: Alfred C. Toepfer International S.A.
Owners: Bahia Blanca Port Admin. Managers: Oleaginosa Morenos Hnos. S.A.